Hunting, Fishing, ATVing – we have the facilities and the guides to meet your every need or interest. 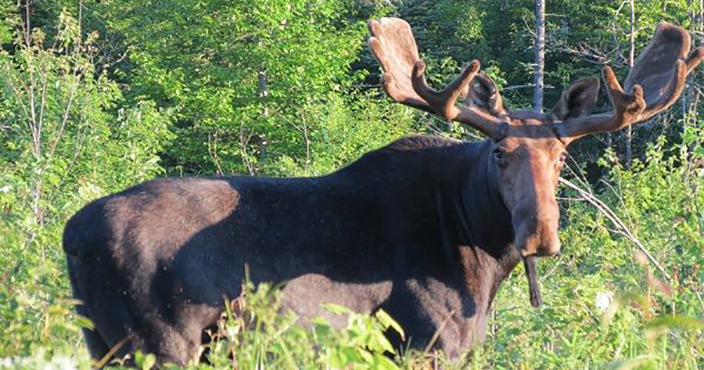 Located on the New Brunswick border in the heart of Aroostook County, we are surrounded by the north Maine woods and thanks to the land owners, offering unlimited hunting country, thousands of miles of ATV and snowmobile trails (next to your cabin!) and countless brooks, streams, ponds and lakes for fishing interests. Check out our Facebook page for continuous photo updates. 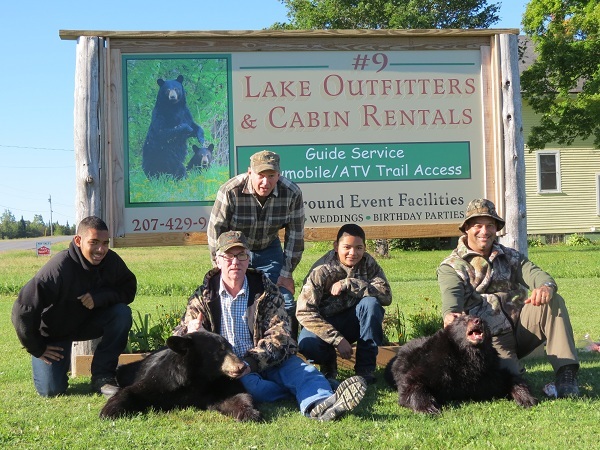 We offer a 20% discount to all veterans for all our regular bear-over-bait hunts and other guided hunts. The Best All-Round Hunting & 4 Season Outdoor Wilderness Experience In Maine, period. & guides with Over 40 Years Experience. experience the most memorable ever! We are located in Maine’s central Aroostook County where every year 95% (or more) of our hunters have an opportunity to bag their Maine black bear. We have 100% opportunity rate with our moose hunters. Some of the largest whitetail deer in North America are taken in the county. We also offer cabin rentals, fishing, small game hunts and ATVing on some of Aroostook County’s 2,300 miles of trails. Hunters are responsible for their own license fees. Go to www.maine.gov/ifw for license information.